On sale now near Los Angeles at Kia of Cerritos, the 2019 Kia Optima is offered in four different trim levels. No matter which of the Kia Optima configurations you choose, you can expect plenty of tech, comfort, and performance for your money–but which one is best for your lifestyle and budget? Find out here, and then schedule a test drive at our dealership in Cerritos! See Which of the Kia Optima Trim Levels is Right for You Near Orange County! Interested in finance the 2019 Kia Optima? 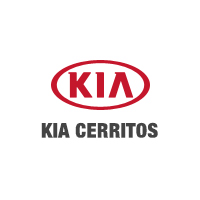 Kia of Cerritos if your Carson area Kia dealership where you’ll find a full lineup of Kia Optima configurations, as well as a rotating selection of new vehicle specials! Want to know more? Compare the Kia Optima vs. Honda Accord. Disclaimers: *Estimated total price and lease/purchase monthly payments are manufacturer’s suggested retail price (MSRP), based on trim, colors, packages, and options chosen and are for example purposes only. This calculation reflects amounts in U.S. dollars rounded to the nearest whole dollar. Your monthly payment, down payment, rebate, and vehicle price may vary. Tax, license, title, insurance fees, destination and handling charges are not included. Dealer price may vary. See dealer for details. All information applies only to vehicles sold in the U.S.